Home » UK Cinema Charts July 27 2018 – Which is number one MI: Fallout or Mamma Mia? UK Cinema Charts July 27 2018 – Which is number one MI: Fallout or Mamma Mia? It’s film chart time, are you ready to find out what’s at number one? There are two new film entries inside this week’s top 10. That also means we have a new number one and it’s pretty obvious which movie claims that coveted spot. Mission: Impossible Fallout or MI: Fallout if you prefer starring Tom Cruise, Rebecca Ferguson, Simon Pegg & others does indeed take it. However it faced an exceptionally strong second week competition from Mamma Mia: Here we Go Again! but managed to see it off taking £7.3m. 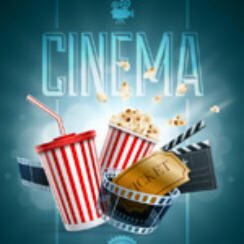 Let’s take a look at the rest of the charts, here are the figures for the UK Cinema Charts July 27 2018. The one other new entry inside this week’s top 10 is Sony Pictures Hotel Transylvania 3: A Monster Vacation which enters at UK film chart at number four taking around £3.45m. Universal Pictures has four pictures in this week’s top 10 including Mamma Mia: Here we Go Again! at number two with cinema takings of £7.1m. Their three other films are Jurassic World: Fallen Kingdom (6), Skyscraper (7) & The First Purge (8). Its bad news for Hotel Artemis, it only released last week but drops from six to thirteen managing only £65K. Meanwhile Sherlock Gnomes returns to the top ten probably due to the schools being on summer holidays. A standard blu-ray player can now be purchased for as little as say £50 or £70 and by doing so you open up an entire catalogue of films which you can buy, many of which have been fully restored. Some of the best deals around at the moment are listed below including an LG Bluray player for around £50. If you prefer Sony you can pick up the Sony BDPS1700B for around £75, whilst if your budget will stretch a little further you can pick up a 4K Ultra HD Blu-Ray Disc Player for around £180. That just abouts concludes our look at the top 10 box office movies this week (UK Cinema Charts July 27 2018), come back next week to see whether Mission Impossible: Fallout can hold on to the number one spot on the UK Top 10 Film Charts. and now action movie Mission: Impossible Fallout.